It’s been a few months since I’ve sat down to write. I’ve been going through some very uncomfortable but necessary growth and change for the past few months which I know you can relate to if you’re alive! My 82 year old aunt who lived alone across the country fell and became unable to take care of herself. My mom and I spent some unforeseen time and money this summer traveling to help her get back to the East coast where we live. I’m so grateful we were able to help her, and there is still a long road ahead. There are other challenges we are handling now as well, but I’m not complaining. Life is always what we make of it. It’s comforting to know that you, like me, are always ebbing and flowing with your self-love and self-care practices in order to feel more love (which leads to better and better health) every day, both toward yourself and the world regardless of what is going on in our lives. Sometimes life throws things at us that seem insurmountable, but I’ve learned that even in the face of circumstances that scare the hell out of me me, that make me cry and feel like I’ll never see the other side, defaulting to my practices of self-love supports my knowing that I’ve gotten through MANY seemingly insurmountable experiences in my life so far, and this one is no different. I just have to keep moving – just keep taking the next small step no matter how much I want to hide under the covers. Five minutes of journaling here, ten minutes of meditation there, keeping myself hydrated, going outside, putting my feet in the grass and feeling the sun on my face. These are just a tiny fraction of the multitude of self-love practices that we all have to choose from to keep ourselves grounded. Thank you for your willingness to join me in practice and “love yourself to health” in order to spread more love to your family, friends, and into the world. What I will be teaching and sharing moving forward will be even more dialed in to practicing love which undoubtedly and unequivocally affects every aspect of your health positively. Love is a necessary daily practice just like brushing your teeth, and is the foundation of all wellness – mind, body, and spirit. Through many years of my own experience and guiding thousands of others through the transformative experience of living into love, I’ve found that the wide variety of ways we can choose to practice self-love each day truly dictates our quality of our lives and the quality of our relationships, and small changes in your daily self-love practices will absolutely cause massive positive outcomes in all areas of your life. The level of health and happiness we feel every day is directly proportional to the amount of self-love we are willing to practice. Practicing love is a skill, a habit like any other. There is no perfect, only practice. So, with that in mind, let’s choose to be more loving this week, both toward ourselves and others, because you deserve it and the world needs as much love as it can get. The amount of overall wellness that you feel every day in every single aspect of your life IS DIRECTLY PROPORTIONAL TO the amount of love (self-love/care + love toward others) you are willing to put into practice day to day. That is why changing your perspective on what love is (how you define/frame it and your perspective on it) is so important, and that is why allowing yourself to non-judgmentally redefine love is SO CRUCIAL to changing ones habits, practices, and choices sustainably and joyfully. In our current societal structure, the most important things that all humans must have a solid understanding of in order to create a life that consists of more joy than pain are NOT taught in the standard school curriculum in the USA. The most basic thing necessary to build a happy, healthy life – understanding what love is (as a noun and a verb) – is simply left up to the individual to figure out on their own, almost like an afterthought. Understanding, accepting and embracing that love is a daily practice shapes the quality of every aspect of our lives and directly influences our interactions with the most important and unavoidable aspects of human life such as food/nutrition, relationships (with ourselves and others), career choices, finances and all things financial, our ability to understand that we all have unfettered access to emotional management techniques at all times, and so much more, is the missing piece of everything that feels fearful instead of joyful. Nutritional and financial practices make or break the very physical, emotional and spiritual states of our entire lives as individuals and as a society, yet most of us are not practicing anything other than burying our heads in the sand so we don’t have to face the intense fear that comes along with valuing ourselves highly and embracing our worthiness of all the good things life has to offer. I’m focusing on food and finance specifically here because these are two areas that I’ve gone through intense and long-lasting challenges with over the course of my life and have come out on the other side feeling free and less like I’m carrying the weight of the actual Earth on my back, and also because after speaking with thousands of people about their mind, body, spirit wellness journeys over the past eight years, these are the two topics I have found people struggling with more than any others. Our relationship with food and our relationship with money shapes our entire mind, body, spirit reality every single day – whether it’s full of joy or full of pain or anywhere in between – and I haven’t met a single person who this doesn’t apply to yet. You might wonder how financial education relates to love. Learning how to manage our finances systematically and consistently and in a way that doesn’t feel stifling is a major practice of self-love – same as nutrition. More than 70% of American families report living paycheck to paycheck and know that they are just one emergency away from total financial crisis. This is an extremely stressful way to live (trust me, I know this from years of previous experience), and it isn’t happening because people are stupid. It is happening because our entire educational system teaching us how to build our lives is critically flawed, and without any mention of love as the practice that is the foundation that all wellness sits upon. We are taught that debt is “normal” when the whole concept of borrowing money in the ways we do today is a relatively new concept in American history. Debt, along with many mind, body, spirit dis-ease are merely symptoms of a damaged source that is devoid of love as a practice. Figuring out the best way to manage your finances is a huge aspect of self-love; one that brings great stress relief once a realistic and easy to follow plan is put in place and maintained over time (again, same as nutrition). A disciplined strategy for everyday management of income, spending, saving, and investing for future goals leads to the feeling that a heavy burden has been lifted from your being, opening up infinite space for personal growth and contribution, and will undoubtedly result in a life that is filled with more joy than pain. There is no human being alive who doesn’t need to know how these things work, lest they create a life where there is seemingly constant pain coming from their own health and financial situations. If you really take a minute to think about it, I would imagine that there aren’t too many people you know (including yourself) that don’t find these areas of life stressful and sometimes hopelessly unmanageable. What does all this have to do with love? EVERYTHING. Love is the only foundation on which all of these practices that literally shape the reality of our lives, our emotions, our relationships with ourselves and others, our health and our happiness, our ability to experience joy and gratitude every day, can be built sustainably. Love is a decision that only you can make, and one you must make over and over again. Love is nourishing your body and the bodies of those you may prepare foods for with nutrient dense foods and proper hydration more often than not. Love is giving yourself and those you love the gift of learning that your income is your most important wealth building tool—no matter how much money you are currently earning—and how to budget your income as an empowering practice in a way that actually feels good and gives you a sense of control you may have never felt before over your own choices. If the majority of people were taught to and willing to practice implementing love into their daily lives as much as they are willing to practice watching TV, scrolling through social media, watching the news, talking about other people, etc., then we would all be in much better shape (in all areas). I can only speak from my own personal experience (and walking beside thousands of others through personal transformations), having myself been addicted to some of the previously listed things at one point or another (TV + social media particularly), and the difference it made when I consciously and intentionally MASSIVELY changed my priorities in life is almost indescribable, but I’m trying to communicate that here and now. I say all of this from a place of extensive and painful personal experience. 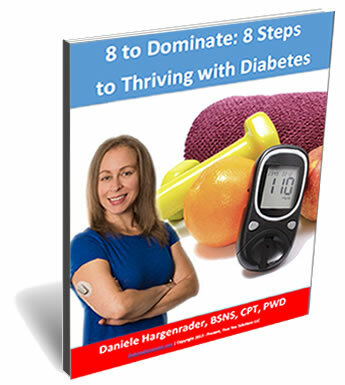 There was a long time in my life where I had no idea about nutrition (having been obese with an eating disorder for many years while living with type 1 diabetes), let alone a detailed and ever-growing understanding of how nutrition influences and interacts with human anatomy and physiology, and have now been the “Diabetes Dominator” for more than eight years with the blessing of guiding others on their paths to creating the relationship with nutrition they’ve always dreamed about. There was a long time in my life where my husband and I were in massive debt and barely making the minimum monthly payments on said debts (sidebar: we are still in debt, but have consciously and intentionally learned and implemented a ton together as a team, are in a MUCH better place than we were just one year ago let alone five or ten years ago, and can actually see the debt-free light at the end of the tunnel… and it feels AMAZING). If you are willing to change your perspective on what love is, what it means, how you practice it, and embracing that love is who you are at your very core therefore admitting your infinite self-worth, your life will forever change for the better starting immediately in all areas, and the more you practice, the better and better things get. 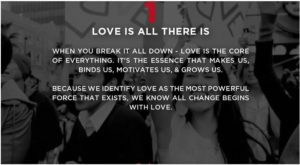 The foundational love principles listed below are adapted from one of my most influential mentors/spiritual teachers, Julia Cameron. Her principles cover the basics of creativity, which have guided me immensely in my writing and spiritual practices. Having these foundational principles (listed below) in mind all of the time has allowed me to learn, grow, and continually remind myself what love is, how it relates to my ability to create wellness in all areas of my life, that I am love, and that at any moment I have the free will to choose love over fear. 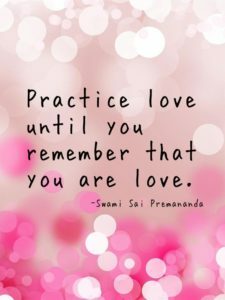 Practicing love daily is the missing piece, the secret sauce, the one trick that you have been missing, that one thing you haven’t tried when trying to reach whatever goal that seems to always be just out of reach. Practicing love is the magic secret tool that everyone has access to, yet is rarely taught as the foundational principle of creating sustainable change in all aspects of life. Consciously and intentionally embodying these principles have been invaluable to me in my own personal growth in every single aspect of my life, and I hope these principles serve you as they do me. I have them printed out and hung up on the wall in my bedroom so I can always easily remember that love is my guiding compass on all decision making processes, not fear. Love is the natural order of life. We are born knowing only love. All other emotions are learned by conditioning. There is an energetic current and vibration of love that exists in all of life – including ourselves. When we open ourselves to love – giving love, receiving love, consciously choosing to act from a place of love, and knowing that we ourselves are loveable and fully deserving of love no matter what – we open ourselves to the Universal force of love that is always present, yet often we’ve been conditioned to ignore it in ourselves and in our lives. We are, ourselves, love. And we, in turn, are meant to continue being love, regardless of any circumstances in our lives – past or present. Love is God’s/the Universe’s/the Cosmos’s/Infinite Intelligence’s gift to us. Consciously making all decisions from a place of love is our gift back to God/the Universe/the Cosmos/Infinite Intelligence. The refusal to be love – to admit that we are loveable and deserving of love from others – is a personal (often unconscious) choice, and in direct opposition to our true nature. When we open ourselves to exploring our true nature of love, we open ourselves to the Universal current and energetic vibration of love which aligns us with everything else in existence. We are all one – we are all connected. As we open our minds and hearts to the acceptance of love as our true nature, many incredibly powerful synchronistic changes are to be expected in all areas of life. It is safe to open ourselves up to greater and greater love. Our dreams and longings come from the divine Universal source of love. As we allow ourselves to move towards our dreams, we move towards our divinity. 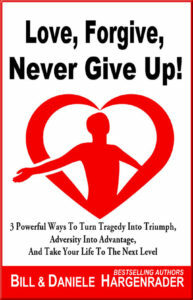 My husband and I wrote an easy to read bestselling book on exactly how to use the power of love as a practice that shapes every single aspect of your life positively because over the years we have found that consciously and intentionally deciding to practice love has by far been the most game-changing principal of creating the type of sustainable circumstances we want in all areas of our lives. Stay tuned for my next blog where I will talk about the fear-based beliefs that can get in the way of creating daily love practices if we aren’t conscious and aware of them, plus how to kick them to the curb when they show up! With that in mind, let’s consciously choose to be more loving today, both toward ourselves and others, because you deserve it and the world needs as much love as it can get. If you can’t find what you’re looking for here, you can type my name (Daniele Hargenrader) into your favorite podcast app and find some that way (apparently I have a lot to say)! What are some of your favorite podcasts that make you feel better after listening to them than before you started? I’m really excited to share this newly released podcast that I am so grateful to have been interviewed for! 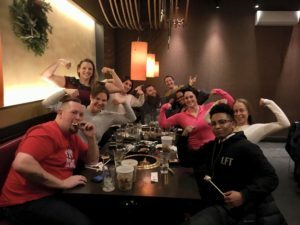 I receive almost as many inquiries about how to transition into the type of online business I run now as I do about health/life/diabetes coaching, and that has been the case for the past four years. Because of that, my husband and business partner (who successfully leads Cybersecurity Operations for a $36 billion dollar global organization, is a bestselling author, TedX speaker, life coach) and I created an awesome business coaching program back in 2015 for those who are looking to build a passion-based business while still working a traditional job that we teach together as a team. 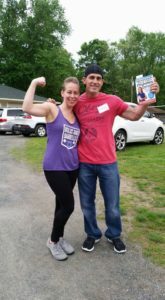 In this podcast hosted by Yuri Elkhaim, founder of Healthpreneur and New York Times bestselling nutrition author, we discuss how my husband and I have grown our businesses into what they are today. We also chat about how I keep myself accountable and on task, and why I believe mindfulness is a practice that must be cultivated for lasting success. This episode is a must-listen for any entrepreneur in the health space who wants actionable advice to make a lasting impact. Posting publicly about products you haven’t created yet. The priority of providing value to people before they buy anything. The advantages of collaborating with peers and being authentic/knowing yourself. If you’d like to learn more about the Healthpreneur podcast or read the full transcription of my interview, click here! Over the years, I have consciously and intentionally become a more spiritual human being. By that I mean that I’ve come to trust that there is a deep, flowing, always present current of energy and knowledge that pulses all around us and knows what we are meant to do in order to live in alignment with our true nature – love. I spent many years labeling myself as agnostic, mainly because I feel that organized religion does more to separate people than bring them together (my God only loves you if you do these things that humans made up…. that doesn’t work for me). Further, I didn’t know who I was. Now I understand that I don’t need any man-made labels or denominations to define who I am and what I believe in – I am love and I believe in love. I have become mildly adept at the art of manifesting, and synchronicities – what also may be interpreted as “coincidences” – are a major part of my everyday life. They are signs letting me know that I am heading in the right direction. Instead of being surprised when they happen like I used to, now I just experience intense gratitude for the guidance each time it happens. Not only has this practice of letting go of my ego and trusting in the Universe allowed me to have an even more loving relationship with myself, my diabetes, and everyone else I encounter, it has served me in my business growth as well. About a month ago, my husband Bill and I were having a conversation about the future. And although we know what we want on a large scale, we were both feeling a bit stuck regarding the next best steps to take. One thing I said (that I was crystal clear on) was that I wanted to do more consulting work. 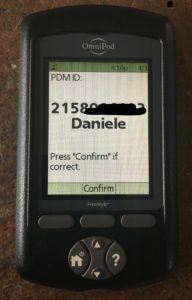 I really enjoy the process of helping a company that wants to help the diabetes community in some way to figure out if what they are proposing will actually be helpful to the people in the diabetes community, or if people in the diabetes community simply don’t care about what they’re proposing. It is a fun and interesting process, and I enjoy it. I’d like to think it helps clear up some of the business-y BS that often gets in the way of clear, simple, directed actions that can be collaboratively approached that have the very real outcome of improving the lives of people with diabetes across the board. I offer a perspective that business executives that don’t live with diabetes simply cannot see on their own, and I am grateful to represent the diabetes community since I’ve spent thousands of hours and have dedicated my career to speaking both one on one and in groups of people with diabetes who are working to improve their lives over the past eight years. All that being said, in the past week, I’ve received two separate offers – seemingly out of the blue, but I know that it’s the Universe supporting me to fulfill my desires since they are aligned with my true nature of love – from two major insulin manufacturers to come in on a consulting basis, and getting paid what I feel is appropriate. 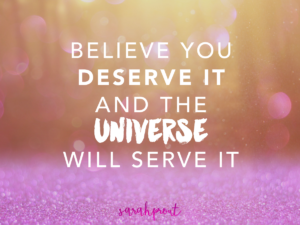 This is very important to learn and understand – the Universe isn’t going to go out of its way to support you if you don’t feel you deserve to be supported – I learned that the hard way! 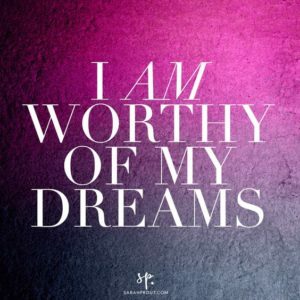 Your self-worth is directly proportional to the Universal support you receive. My hope is that you will set aside thirty minutes to get crystal clear on one thing that you want. Journal about it, meditate on it, take a walk in the park with the question “what do I really want? holding space in your mind. Don’t judge what comes out – often what comes out may seem absurd or grandiose. That’s usually a good indicator that you’re on the right track. What do you want? Will you practice manifesting it? Will you trust in the Universe to support you? Will you support you? Don’t miss out on this incredible opportunity for learning & growth! Join me + 25,000 others! I’m here –as always – to gently urge you to intentionally set aside some self-love and self-care time, and I have a super quick, easy and majorly beneficial way you can do that for yourself right now! I truly believe that the level of health and vitality we feel day to day is directly proportional to the amount of self-love and self-care we are willing to practice. Self-love includes how much attention we’re willing to pay to ourselves, our feelings, and the signs our bodies are always sending us – being conscious, present, and non-judgmental, and being willing to change course when we know things don’t feel right. I also believe that learning leads to growth, new ideas, new ways of thinking, and forward moving progress on all fronts, and I believe in supporting others who feel the same way. With that in mind, if you’ve ever considered a whole foods plant-based nutritional lifestyle as a way to manage your blood sugars but wanted to learn more from the world’s most renowned experts on the topic (including yours truly) before making any decisions, then this FREE Mastering Diabetes Online Summit is definitely worth taking a closer look at. I’m grateful and humbled to be presenting on the mindset of implementing sustainable change on this awesome summit running from March 28 – April 4! Last year, more than 26,000 people with diabetes attended the online summit (I was one of them! ), and began transforming their diabetes health, losing weight, reversing insulin resistance, gaining energy, and controlling their blood glucose better than ever before. My good friends, fellow people with diabetes, and hosts of this amazing summit – Cyrus Khambatta, PhD and Robby Barbaro – changed their nutritional lifestyles to a whole foods plant-based approach years ago and never looked back. 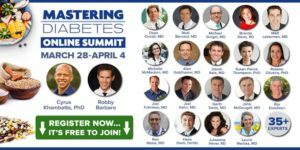 So my suggestion to you if want to gain some incredible new knowledge: register for the Mastering Diabetes Online Summit and see what you can learn! I know that these guys worked their butts off to provide world-class knowledge for our diabetes community, and both have hearts filled with love and care for helping others. Since it’s free, there’s no risk of losing anything, and a huge opportunity to learn new things that you can use to continue to give yourself the gifts of self-love and self-care on your wellness journey. REGISTER NOW FOR THE MASTERING DIABETES ONLINE SUMMIT FOR FREE BY CLICKING HERE! Let’s Hang Out In June? The time has come again! Registration is OPEN!!! 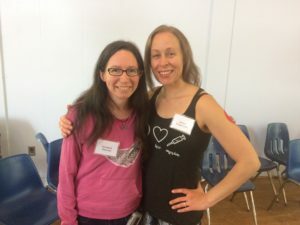 For the third year in a row, I’m super psyched to be presenting at the Camp Nejeda Survive & Thrive Bootcamp for adults with type 1 diabetes, June 1 – 3, 2018! 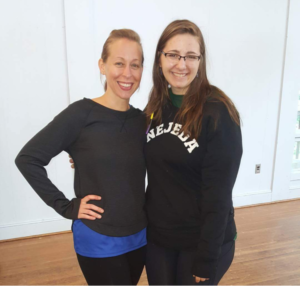 I’ll be there all weekend speaking about how to cultivate an empowered mindset around living with diabetes, teaching yoga, Latin dance fitness, and more – and I’m bringing my mom with me!!! This environment is so incredibly supportive. It’s a safe place to learn, grow, and connect with other adults living with type 1 diabetes. 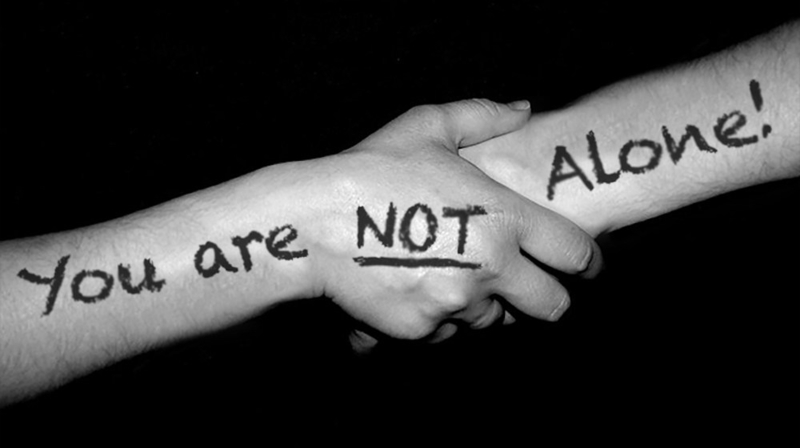 No condescending words, no judgement – just lots of love, empathy, peer support and hugs! The scenery and surroundings of Camp Nejeda are absolutely breathtaking and awe inspiring. We will be surrounded by the power and beauty of nature that adds so much to the healing and invigorating experience that this weekend already provides. If you’ve been thinking about getting out there in the diabetes community and bonding in person with those of us who “get it,” now is the time to take that leap! Registration is officially open! Click here to read all of the details and to sign up!